Comment: it happened actually some days ago when I mentioned the Canadian meritorious singer Jane Siberry (born in 1957) as one of possible influences of such new and very interesting artist as Eva Neves Pereira aka Rarareruri whose soundscape is innovative in her mind-boggling crossing of disparate and earlier fringe era styles such as glitched-out minimal electronica, glo-fi, ambient pop. However, Jane Siberry has been active for many decades whereas having released a battery of albums. It is the Canadian`s third Christmas-themed release, following 1994's Count Your Blessings, a live concert she performed with Holly Cole, Rebecca Jenkins, Mary Margaret O'Hara and Victoria Williams, and 1997's Child: Music for the Christmas Season. In 2003 she interpreted several Christmas liturgical hymns by classical composers like G. F, Händel/C, Jennes; J. S, Bach/S, Franck; F. Mendelssohn/J. F Von Bunsen; F, Layritz/J. C, Mattes/K, Spaeth; G. Holst/C. Rossetti; E, Poston; J, Rist/J, Schop. Although the Christmas time is already long behind the artist`s music arouse solemn and purgative feeling to the listener`s soul. Orchestrations behind her evocative singing are duly arranged having no excessive, bombastic broadening which frequently could sound in a feigned way. 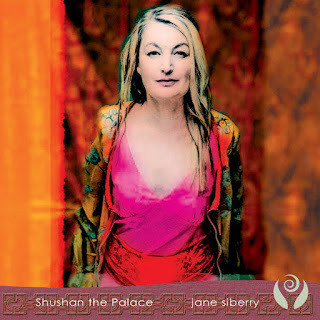 It could be said the bunch of Jane Siberry`s Christmas song would freely be up there to chime on the 24th and 25th of december.